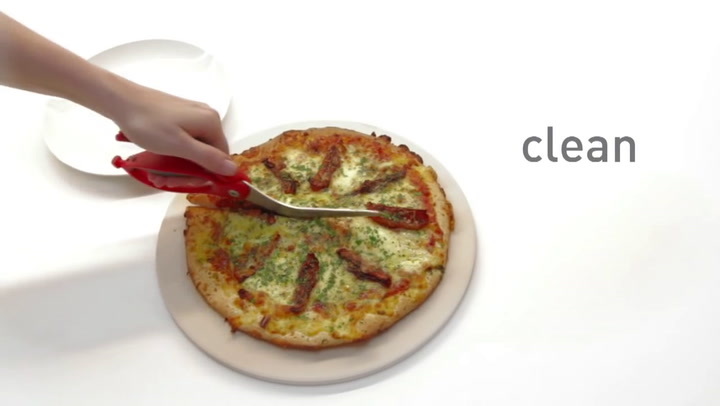 The Scizza Pizza Cutter & Lifter is a pizza-slicer-server-spatula all in one. Slice and serve simply and easily, and in one quick motion. The long blades slice effortlessly through food, even melted cheese and fresh rocket, to create the perfect slice. Then use the wide, spatula base to lift and serve slices. Warm soapy hand wash recommended, top rack dishwasher safe. View more from Pizza Collection, Pizza Cutters, Scissors & Shears, Dreamfarm. This cutter works very well. 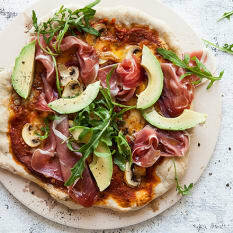 The ease with which it cuts both thin and thick crust pizzas is great. Sharp, sharp! 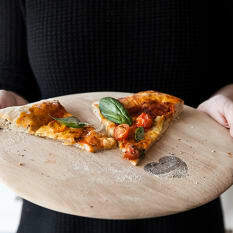 While this pizza scissor is a bit pricey - losing one star for that - it is definitely worth it when friends come round for a pizza evening and instead of the usual pizza wheel, you haul out the Scizza! (typically starting off the discussion of whether it is pronounced skizzor, or skeetza). Plus, let's face it, there's nothing more fun than cutting up your pizza with a pair of scissors.